Somehow, the winter weather gurus got December 2015 mixed-up with October. October, 2015 was cold and snarly and by the end of the month I was sure we were in for a long, cold, snowy winter. It just never happened and by December many traditional snowbelt areas languished in the double digits above freezing with little or no snow by Christmas. Usually, the main ingredient for getting trails in shape is a good run of cold weather to freeze up rivers and swamps. The cold came but it was well into January before the online trail maps starting showing green. The Abitibi-Temiscamingue region in Northwestern Québec always seems to get its trails open early and they're often still grooming into April. Of all the riding I have done in Québec I'm quite certain the largest percentage of miles has been in the Abitibi Region. Why? 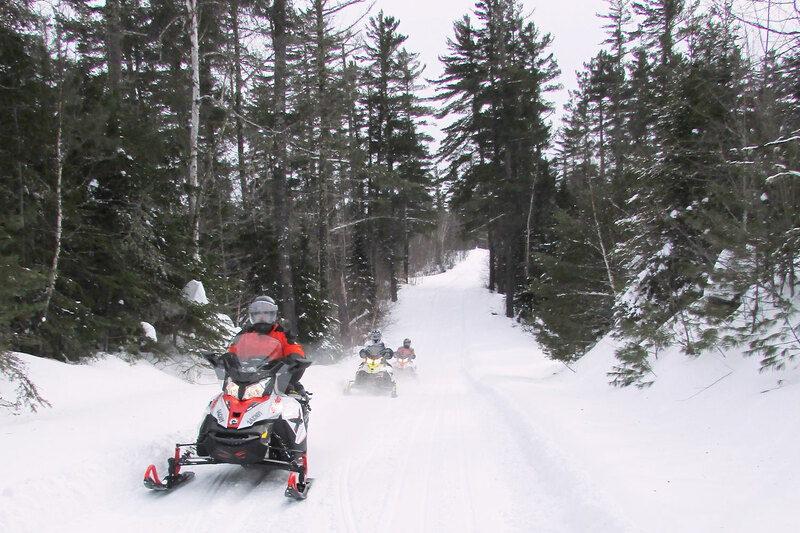 The trails tend to be groomed perfectly all the time and, on a full day of riding, you might only meet 20 sleds. Despite this, at night the motels and lodges are full of snowmobilers! For several years there had been rumors about a ghost trail running southeast of Temiscaming and, while not on the district map, I had ridden parts of it on our trips back to my buddys' camp in this region. Now, Trans Québec Trail 43 is in place and on the map. Yes! Last winter we were invited to experience this trail and we arrived in Temiscaming to stay at Au Bercail Motel. Temiscaming had been pounded with a foot of snow on the day of our arrival and come morning, our crew was in for an awesome ride. We rolled into Lance's Convenience in Rapides-des-Joachims for gas and a bowl of chili and headed up Trail 386 for another 170-km to our night's destination, Pavillon Park LA VERENDRYE Lodge. The first 90 kms were freshly groomed with not a track in front of us. Really, does it get any better than that? A word of caution, if you wish to visit Pavillon Park LA VERENDRYE Lodge book well in advance because while they are long on hospitality they are short on rooms! Oh yes, bring cash too, as plastic does not work here. From the lodge you can take Trans Quebec 63 east for a five to six-day run. We did that in 2015. If you take 386 west through Belleterre you have a three-day or you can choose the route we did through Val-d'Or. We chose this route because one of our party, Jim, had heard us talk of trail 386 North of Kitcisakik up to Lac Simon. I've said it before: Although this might be one of the most fun trails I've ever ridden in my life, pay attention to the signs. If you don't, you're liable to have a repair bill! We arrived in Val-d'Or late afternoon after riding another 250-plus km - and not a mile of rough trail. Unbelievable! Escale Hotel and Suites is a great place to stay in Val-d'Or and the guys were glad to be able to put our sleds in a secure, heated overnight garage there. 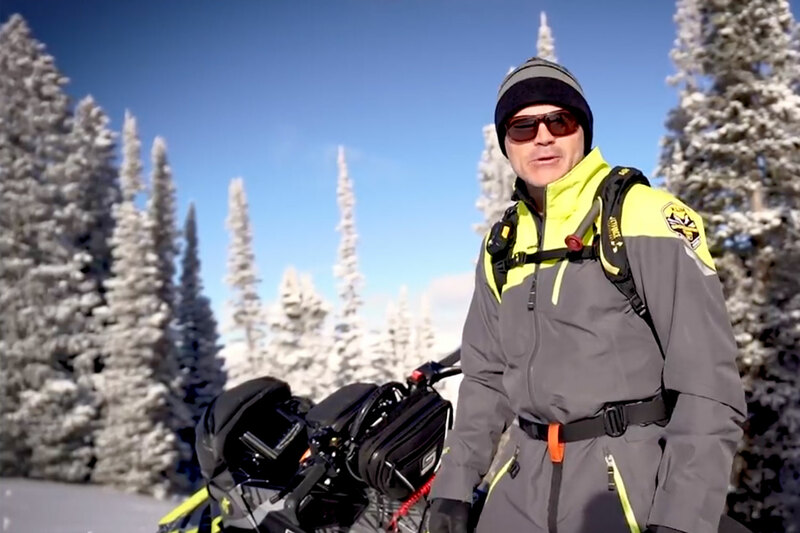 Our last day of riding was cold but the skies were blue and the sun was shining. We headed southwest on Trail 309 (my translation: Rapid Seven!) and once again one of my fave Québec trails. It did not disappoint! At Belleterre we got on to Trans Québec Trail 63 and all too soon we saw the Temiscaming sign showing 100-kms to the end of the ride. 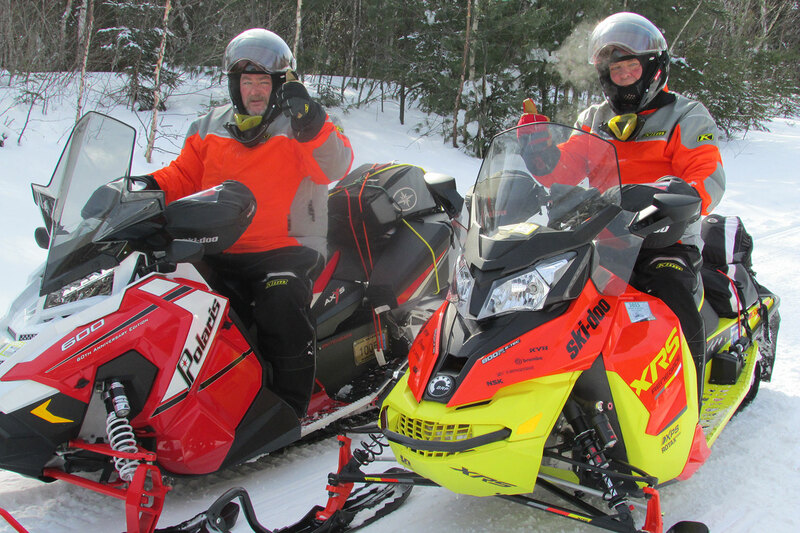 We had ridden almost a thousand kms (600 miles) in three days and it was just a small sampling of what Abitibi offers the touring snowmobiler. You have several options as to where to start this ride and how many days you want to make it. You can start in Temiscaming, Rapide-des-Joachims or even Mont Laurier in eastern Québec. People ask me, how far is the drive from the border? I tell them it's at the most, five Tim Hortons coffee stops! YAMACHARGER IS THE REAL DEAL!